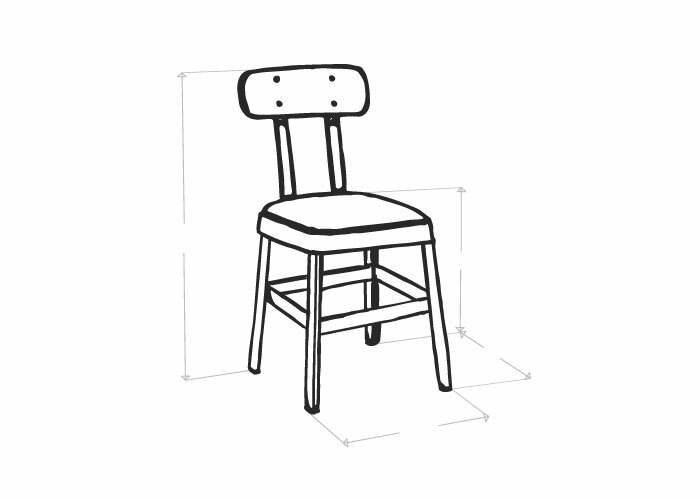 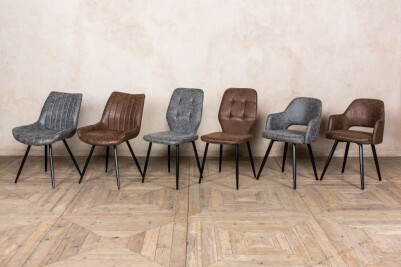 Introducing the ‘Franklin’ Scandinavian design dining chairs. 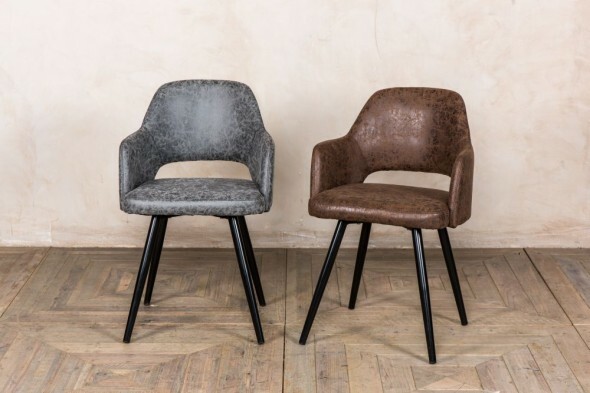 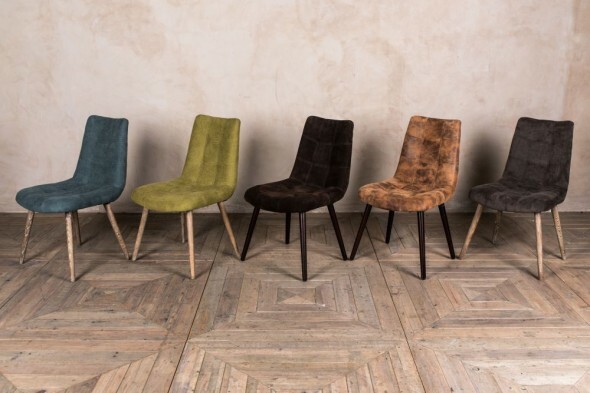 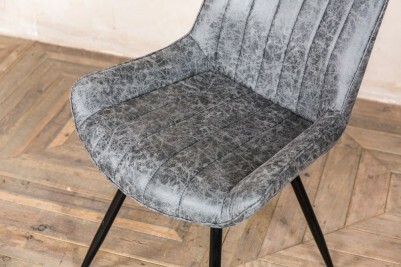 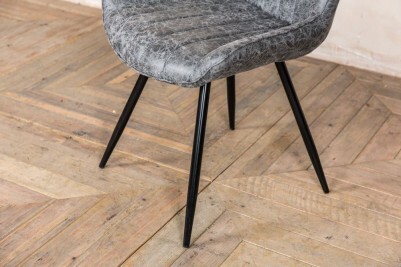 These chairs have a ribbed faux suede seat and angled legs in classic Scandi furniture style. 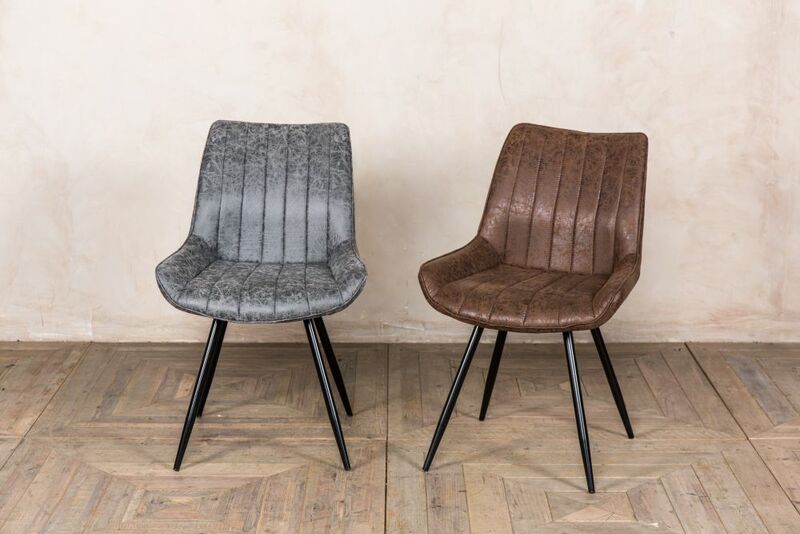 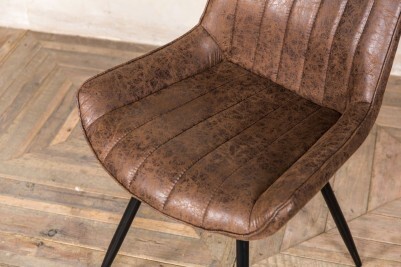 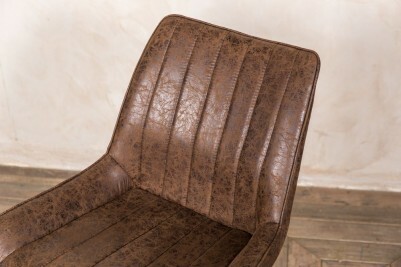 Choose from a grey or brown seat to best suit your interior. 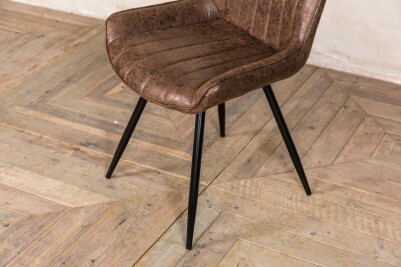 These muted tones combined with the black legs would easily coordinate with other furniture. 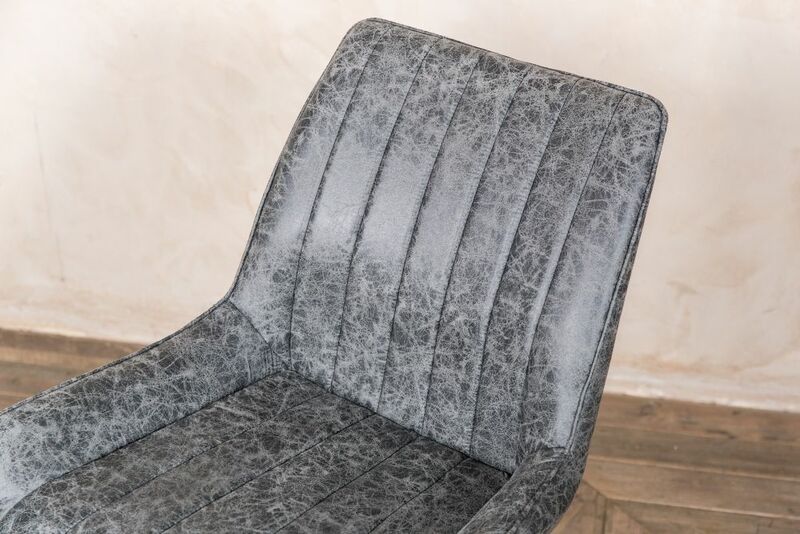 The high-quality upholstery work has a distressed appearance, which gives these chairs a much sought-after vintage appearance. 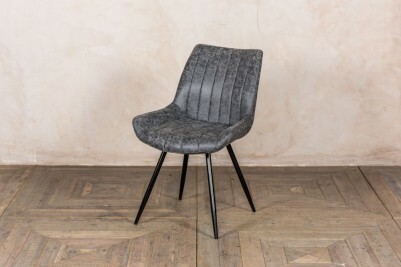 The ‘Franklin’ would look great in a Nordic themed restaurant or pub, but it would equally grace any contemporary or retro inspired dining room. 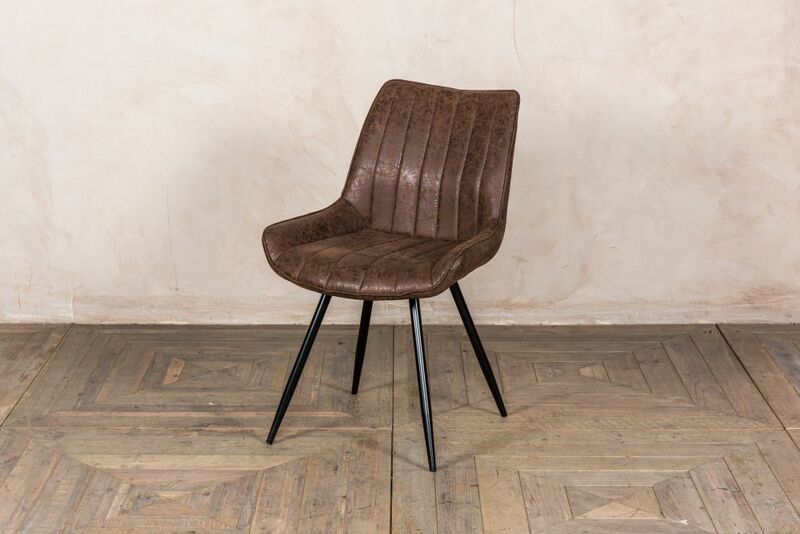 We also stock the ‘Wilson’ and ‘Lincoln’ dining chairs in the same colours, and a matching ‘Franklin’ stool will soon be available. 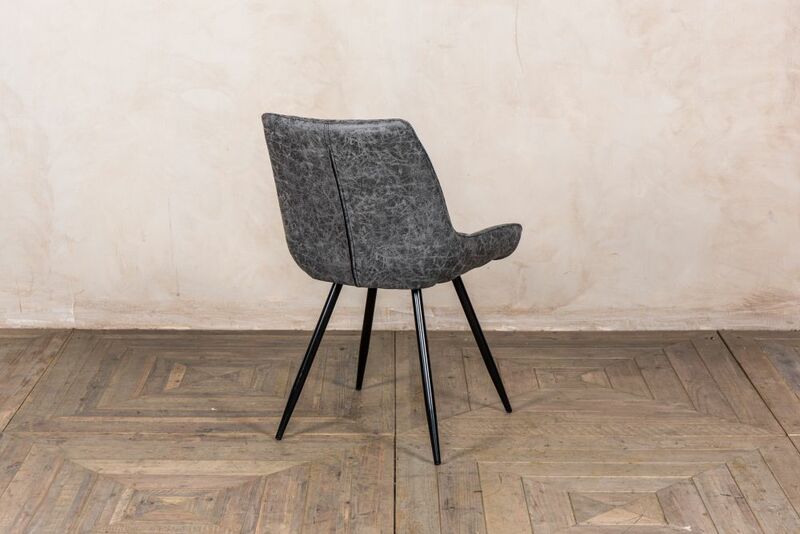 The price is for one of our Scandinavian design dining chairs, but they can be purchased in any available quantity.